The Lake District will catch your eye first for sure! The rugged mountains rising before you, with their dramatic names. Scafell Pike, Helvellyn, Great Gable and such. And then there is the beautiful lakes and waterways that give the Lake District its name. With 19 million visitors a year it is The UK`s biggest and probably most famous National Park. But that doesn’t make them any less beautiful, and they have their own sense of drama too. Alfred Wainwright described them as “A herd of sleeping elephants” as the sloping fells fall away into the valleys below like an elephants trunk as they sleep. If you are wanting a day on the hills away from the crowds where you can enjoy peace and solitude, then the forgotten fells of the Howgills is the place for you! I initially planned this route to be 50kms over two days with a wildcamp in one of the many valleys, but due to a wardrobe malfunction (i`ll come back to this) i had to cut the route short on day two due to poor weather! I got talking to a young lady on the summit of Winder and we discussed the great outdoors in length, and what draws us to it. Emily works for the RSPB charity and was up there observing our feathered friends flying above. I began to point out all the fells in the distance and name them and Emily did the same with the birds flying overhead. It was getting late in the afternoon now and i could see that a great sunset was on the cards as the sun dipped to the West of me. My original plan was to camp low in a valley to avoid the wind and rain that the weather forecast promised i would wake to on the Sunday morning, but all good plans change and this sunset was too good an opportunity to pass on. I headed Northwards to the summit of The Calf to set up camp for the night . At 676 metres it is the highest point of the Howgills and would offer the best seat in the house to watch the spectacle of the sun setting over the West coast. Although i did get a great sunset, i was too busy setting up my tent and cooking some hot food that i didn’t really capture it well on my camera. As the sun dipped into the sea and darkness began to fall, i turned to the East to be greeted with an amazing moon rise! A tired but happy Scotty turned in to bed at 10pm ready for a long hike the following day. Sure enough at 3am i was awoken by the smug pitter-patter of the weatherman’s forecasted rain hitting my tent. “Not to worry, i have waterproofs” i thought to myself as i counted the pits and pats and drifted off back to sleep. Not to be perturbed by the now heavy rain and high winds i packed away my cooking gear and went to put on my waterproofs for the hike ahead…..
Now this is where a good plan B or even better preparation to Plan A comes into effect!! I frantically pulled and pulled in the hope that they would miraculously stretch and fit but alas it was to no avail. They only went as high as my thigh and the Howgill Fells in bad weather is not the place to waddle like a penguin with wet thighs!!! This is where my intended 50km route suddenly became a 20km route, and after a quick look at the map Plan B was formed. I would drop back down via Cautley Spout waterfall and hug the valley back to Sedbergh. At 650 metres it is England’s highest waterfall and well worth a visit. I imagine it is a very popular in warmer weather but on this day the place was deserted due to the rain. It added a dramatic eeriness about the place for me.. It was a long slog through the valley and back to Sedbergh from here, but again on a more pleasant day it would make a wonderful return journey with fab views over the dales as you follow the River Rawthey back to town. Back in the town of Sedbergh it was a quick change of clothes before grabbing a tea and cake from one of many tea shops/ cafes in the town. 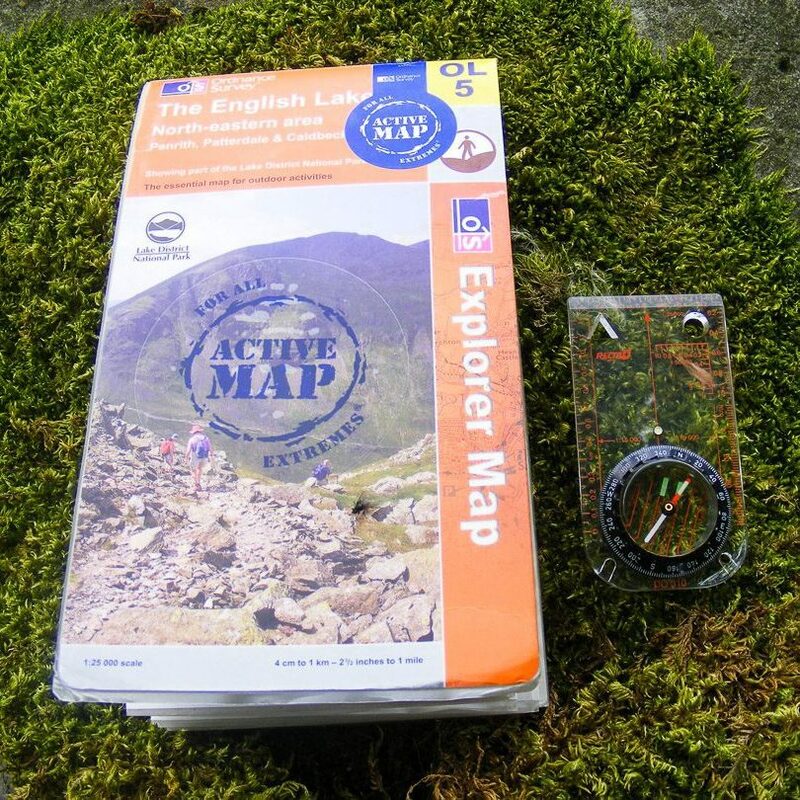 A quick read of what to do in the dales guidebook ( pack suitable waterproofs should be in there!) whilst i dried off, and then it was the drive home. The Howgill Fells will definitely be getting more visits from me in the future as i feel there is so much more to explore around here. I highly recommend you go for a walk or two here too. If you follow my route that i have attached please look out for my sunglasses that i lost on the Sunday too! What a trip hey?? the area looks lovely. I never been so have to get there one day.